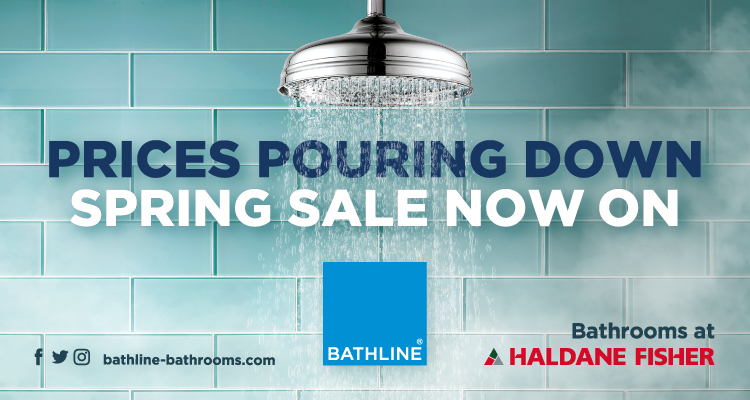 The BATHLINE SPRING SALE is NOW ON across our Northern Ireland and the Isle of Man bathroom showrooms from Saturday 13th April until Saturday 25th May. Check out our amazing offers from leading bathroom supplier including Aqualla, BC Designs, Crosswater, Hansgrohe, HiB and Roca. All orders placed before the 11th may 2019, over the value of £1500, will be placed into a draw to win £500 off the value of your order! For more information on offers from BATHLINE, please visit your local BATHLINE bathroom showroom today! Promotional prices only available while stock last on cash sale terms only. 25% deposit is required at time of order, with the remainder of the balance to be paid before delivery/collection. Balance of to be paid within 3 months of order being placed. Goods to be delivered with 6 months of order being placed. Any goods returned must have packaging intact and be in good order within 28 days of invoice. Goods will be subject to our returns policy (please ask staff to confirm). Handling fee of 10% will apply to all product returned. Non-stocked returned goods are subject to a 25% manufacturer’s charge.Special or bespoke orders are non-returnable (Double check). Tile returns must be full unopened boxes with a two-box minimum.